These offers are available for a limited time only. So be sure not to miss out! 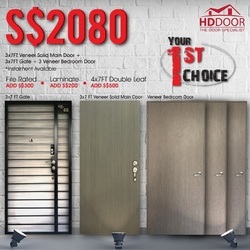 Singapore #1 HDB Fire Rated Door, Bedroom/Toilet Door Supplier, We manufacture/fabricate Mild Steel/Metal/Wrought Gate & Digital Locks Specialist in Singapore.